The Asheville commercial land and commercial real estate market in is alive and well here in beautiful Asheville North Carolina. As developers, licensed builders and brokers we are always pleased to assist our clients on commercial properties here in the area. We specialize in 1031 exchange properties and commercial real estate investments. 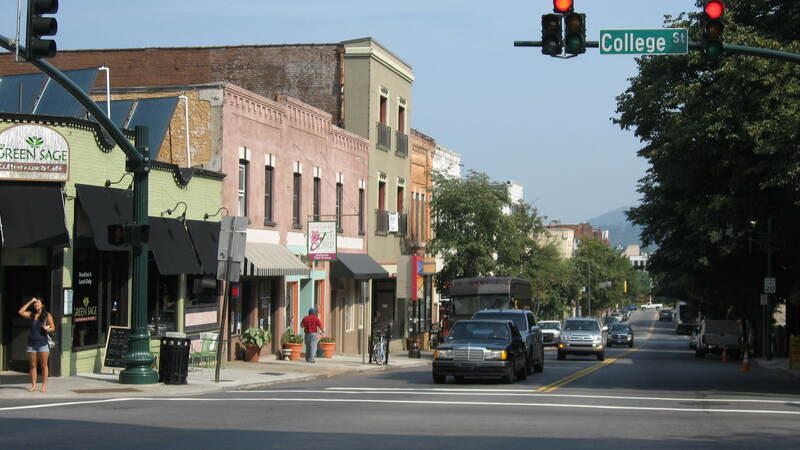 Call us today at (828)-215-9064 or contact us for assistance in the Asheville commercial real estate market. GREAT LOCATION! Located at I 26 exchange. Professional complex with headquarter potential for high-end commercial user! Various increments of office, production, warehouse, and distribution spaces. Deionized water system, 34 ft ceiling warehouse, conference rooms, cafeteria, all facility conditioned and sprinkled. 20 Loading docks, 2 drive-ins, 2,000 SF of dedicated data storage w/FM 100 fire suppression system, class 100 clean room, 3,200 SF data center in adjacent building. Acres of fenced grounds. Directly across from the Walmart/Lowes Plaza. I have a question about the property at 108 Monticello Weaverville NC 28787 (#3457331). I would like to schedule a visit for the property at 108 Monticello Weaverville NC 28787 (#3457331). I have a question about the property at 337 & 1001 McMurray Road Flat Rock NC 28731 (#3239358). I would like to schedule a visit for the property at 337 & 1001 McMurray Road Flat Rock NC 28731 (#3239358). I have a question about the property at 400 Spring Mountain Road Fairview NC 28730 (#3356132). I would like to schedule a visit for the property at 400 Spring Mountain Road Fairview NC 28730 (#3356132). I have a question about the property at 337 McMurray Road Flat Rock NC 28731 (#3239366). I would like to schedule a visit for the property at 337 McMurray Road Flat Rock NC 28731 (#3239366). I have a question about the property at 1741 Brevard Hendersonville NC 28791 (#3377725). I would like to schedule a visit for the property at 1741 Brevard Hendersonville NC 28791 (#3377725). I have a question about the property at Crayton Asheville NC 28803 (#NCM550864). I would like to schedule a visit for the property at Crayton Asheville NC 28803 (#NCM550864). I have a question about the property at S Allen Road Flat Rock NC 28731 (#3414877). I would like to schedule a visit for the property at S Allen Road Flat Rock NC 28731 (#3414877). I have a question about the property at 100 Fairview Road Asheville NC 28803 (#3315692). I would like to schedule a visit for the property at 100 Fairview Road Asheville NC 28803 (#3315692). Prime retail development site in Mills River! Grading is underway to bring this 16.29 acres to highway grade at the traffic-lit corner of S Mills River, Boylston Hwy & NC 191. NCDOT widening of NC 191 is also underway 1 block south due to strong growth connecting the tri-cities of Asheville, Hendersonville & Brevard. This is the new retail "hot-spot" of Mills River with growing traffic counts & high visibility located just south of the Asheville Regional Airport, Airport Road & I-26! Spill-over growth from Asheville is happening now with the recently announced 1200+ new residential units in the County added to other announced development; this site will redefine the retail landscape of Mills River! Watershed restrictions apply; assemblage opportunity with adjacent lands, river frontage is an added bonus! Brick home on the site has no value; call agent for showings - do not go onto the site without appointment and hard-hat! I have a question about the property at 15 South Mills River Mills River NC 28759 (#3470655). I would like to schedule a visit for the property at 15 South Mills River Mills River NC 28759 (#3470655). I have a question about the property at 1001 McMurray Road Flat Rock NC 28731 (#3239361). I would like to schedule a visit for the property at 1001 McMurray Road Flat Rock NC 28731 (#3239361). I have a question about the property at 10 Silverwood Farm Road Weaverville NC 28787 (#3348075). I would like to schedule a visit for the property at 10 Silverwood Farm Road Weaverville NC 28787 (#3348075). I have a question about the property at 1568 Brevard Road Asheville NC 28806 (#3235144). I would like to schedule a visit for the property at 1568 Brevard Road Asheville NC 28806 (#3235144). Rare opportunity:This incredible Resort offers an outstanding retreat in the heart of historic Flat Rock NC situated on 26 stunning acres on Highland Lake. There are a total of 47 bedrooms in an array of cottages, Lodge, Woodward House and homes throughout the property in addition to ample meeting space, reception facilities and the award winning Seasons restaurant. Call listing agents, see website www.HLIresort.com or attached amenities and services. I have a question about the property at 86 Lily Pad Flat Rock NC 28731 (#3473148). I would like to schedule a visit for the property at 86 Lily Pad Flat Rock NC 28731 (#3473148). Subject would be ideal for a sales and distribution center or endless possibilities. 11.60+/- acres in prime location with high traffic count, zoned CC. Property may be subdivided into smaller tracts. One of the best development tract on Hendersonville's south-side. I have a question about the property at 1880 Spartanburg Highway Hendersonville NC 28739 (#NCM455865). I would like to schedule a visit for the property at 1880 Spartanburg Highway Hendersonville NC 28739 (#NCM455865). I have a question about the property at 100 Airport Arden NC 28704 (#3449508). I would like to schedule a visit for the property at 100 Airport Arden NC 28704 (#3449508). Incredible chance for visibility from Interstate 26. Property is located near the popular Dish Barn, Mountain Inn Lodge, gas stations and restaurants. Minutes from Downtown Hendersonville from Upward Road or I-26 to Four Seasons Blvd. Large tract allows for a wide variety of options. PLEASE NOTE: BUILDINGS ARE NOT INHABITABLE. PLEASE DO NOT ENTER ANY OF THEM. BUILDINGS ARE OF NO VALUE. I have a question about the property at 454 McMurray Road Flat Rock NC 28731 (#3412758). I would like to schedule a visit for the property at 454 McMurray Road Flat Rock NC 28731 (#3412758). I have a question about the property at 270 Cliffsridge Parkway Arden NC 28704 (#3226910). I would like to schedule a visit for the property at 270 Cliffsridge Parkway Arden NC 28704 (#3226910). I have a question about the property at 1 Garrison Lane Flat Rock NC 28731 (#3265261). I would like to schedule a visit for the property at 1 Garrison Lane Flat Rock NC 28731 (#3265261). I have a question about the property at 56 Gill Branch Road Weaverville NC 28787 (#3348076). I would like to schedule a visit for the property at 56 Gill Branch Road Weaverville NC 28787 (#3348076).